Pop bottles are most often made by this process because the design is not limited to uniform thickness-thicker bottoms and middles are possible by increasing the cavity around the mandrel in the second step of the injection blow molding process. They are also able to handle the pressure generated from holding carbonated beverages. 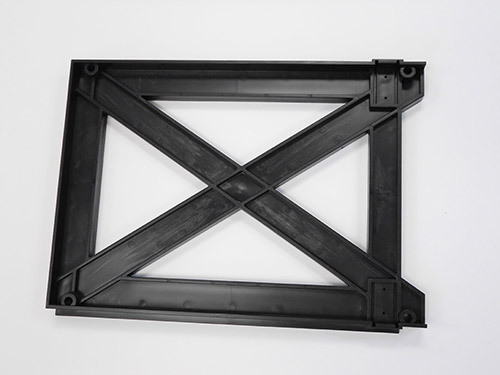 Injection blow molded products are usually made in very high volumes, in order to offset the higher cost of setting up 2 different molds for one process. Since it is essentially 2 forming processes combined into 1, injection blow molding involves more steps than other forms of blow molding. First, a parisan made of plastic is formed when a thermoplastic preform is heated to molten form and injected around a hollow mandrel called a blow stem. Once semi-cured but still soft and formable, the newly formed parisan, which is still around the stem, is placed into the blow molding chamber. The steel blow stem then extends, forcing the plastic to elongate to the desired size of the product, which will also increase its overall strength. Then, compressed air is injected through the hollow blow stem and into the parisan. The almost-molten plastic inflates like a balloon and is blow against the walls of the mold cavity, taking its shape. After it cools and hardens, the newly formed plastic container is ejected from the mold. It exhibits a seamless design and does not need to be trimmed. Injection blow molding machines use multiple mandrels, and may form up to 12 containers at one time. Injection Blow Molding Injection blow molding is a two step process that uses a mandrel to form the preform, and a blow molding machine to form it into a plastic container. 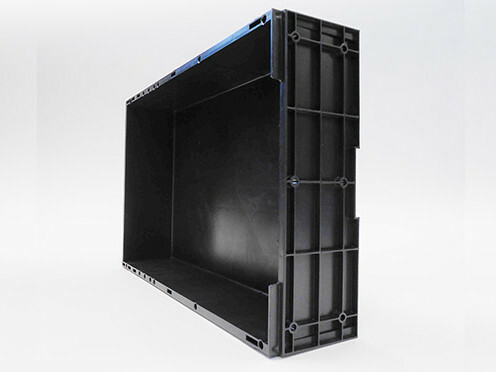 Thermoplastics like high density and low density polyethylene, polycarbonate, polypropylene, polyvinyl chloride, Barex and polyethylene terephthalate are all used in injection blow molding to produce containers like tanks, jars and bottles.